The Mail reports that a new book castigates the Ministry of Defence for its abject failure to recruit. 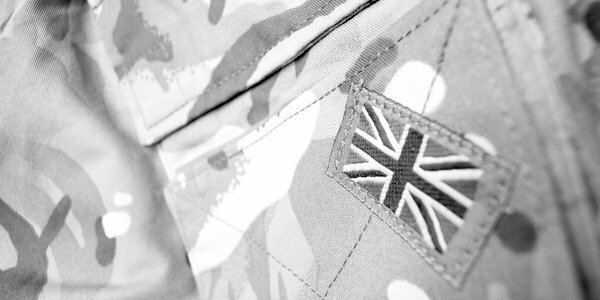 The authors quote the Royal Navy and Royal Air Force as 10 per cent under recruitment targets and the Army at a shocking 31 per cent. In their book, White Flag? Lord Ashcroft and Isabel Oakeshott rightly castigate the appalling current recruitment adverts, designed to appeal to minorities and to foster ‘a sense of belonging’ as a key message, rather than the old message of ‘be the best’ which, apparently, is found too elitist. They suggest that placing recruitment in the hands of the commercial firm Capita probably also has something to do with the problem – which I agree with. They rightly consider political correctness fundamentally incompatible with soldiering, leading to internal dysfunction and idiocies, largely associated with trying to make all combat roles open to women. So far, so shocking, but not particularly surprising to regular TCW readers. However there is a wider malaise. Even the world’s slickest advertising can’t sell a poor product. Recruiting has always been a challenge, particularly for infantry, because tough, motivated and reliable young men (let’s get real) ready to risk their lives are hard to find, and few would call infantry soldiering glamorous. Even in the 1980s, when unemployment was higher, some infantry battalions were woefully under-strength. Of course, some weren’t; those with strong recruiting areas and very active ties with them were fully manned. Since the halcyon days of the late Cold War, things have changed fundamentally. Firstly, the Army is half the size it was. While that means it needs fewer people, it also means that there are fewer soldiers about the place, so Joe Public, and particularly the 16-year-olds who are potential recruits, are much less likely to meet one. This is exacerbated by the massive reduction in the Territorial Army, whose members were part of the local community. Secondly, what is left of the Army seems to have lost its way a bit. When it had a budget for extensive training, the confidence to embark upon adventure training and it won wars, it was a more confident organisation. That enabled it to resist demands for political correctness distracting it from its key purpose of defending the Queen’s Realm, if necessary by eviscerating her foes with a bayonet. Thirdly (and in military circles more controversially), it has almost destroyed the regimental system and the infrastructure to support it. There used to be strong ties between regiments and counties – for example the Hampshire Regiment recruited from Hampshire (a system invented by accident in the Cardwell and Haldane reforms). Therefore the recruiting offices in Hampshire would have staff from the Hampshire Regiment. Fetes and shows would often have the band from the Hampshire Regiment playing, and soldiers and kit from the Hampshire Regiment on display. The territorial battalion would be part of the Hampshire Regiment. Cadet forces would be supported by the Hampshire Regiment. By the 1980s this had softened a bit: the South East was home to the Queen’s Regiment (an amalgamation of the county regiments), East Anglia had the Royal Anglian Regiment, but the general principle held. Today, driven by cuts, many regiments cover a far wider recruiting area, with fewer assets (as bands were also reduced in number, recruiting offices made joint service and the process taken over by Capita). The most obvious is The Rifles, whose recruiting area now covers Berkshire, Buckinghamshire, Cornwall, Devon, Dorset, Durham, Herefordshire, Oxfordshire, Shropshire, Somerset, South Yorkshire and Wiltshire. Its Regimental headquarters is in Hampshire. These counties are not all contiguous, and the regiment posts soldiers between its five battalions. No single battalion has any affiliation to any county; it’s a mess. If the Army is to survive it really needs to rethink its entire policy on almost everything, and it needs to start now.